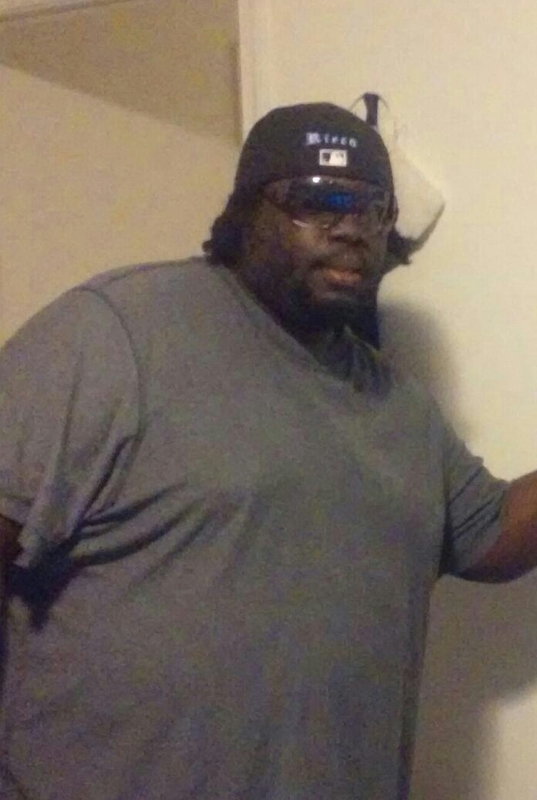 Funeral services for Ricardo Ball, 36, of Woodbridge, Virginia formerly of Montezuma, GA will be conducted Saturday, April 9, 2016 at 11:00 a.m. at Zion Grove Baptist Church, Montezuma, Georgia with Reverend Coley Clark officiating. Interment will follow in New Hope Cemetery. Ricardo Ball, was born June 8, 1979 to Brenda Ball Coates and the late Willie James Smith in Perry, Georgia. Ricardo grew up in Macon County and was educated in the Macon County Public School System. He lived in Woodbridge, Virginia for the past ten years where he was employed at Wegmans Food Service. Left to cherish his memory are his parents: Brenda Ball Coates and Larry Coates of Montezuma, Georgia; his son, Zhikerr Tarquin Howard; sisters and brothers: Persephanie Ball of Stockbridge, Georgia, Markita Glynn of Perry, Georgia and Kareem Glenn of Montezuma,Georgia; step-sisters and step-brothers: Stacy Coates of Montezuma, Georgia, Michael Coates of Americus, Georgia and Reggie Harris of Oglethorpe, Georgia; grandfather, James Rackley of Jacksonville, Florida; aunts and uncles: Katherine Ball of Perry, Georgia, Diane Ball of Unadilla, Georgia, Hattie Eley of Seattle, Washington, Annie (Willie James) Allen, Mary Hammock, Patricia Smith and Sammy Smith all of Montezuma, Georgia, Cheryl Rackley and Sheila Rackley of Macon, Georgia, James Rackley II of Fort Valley, Georgia and Malcolm (Veronica) Shelly of Oglethorpe, Georgia; a host of nieces and nephews, other relatives and friends including his friends and coworkers at Wegmans. Funeral for Mrs. Brownie Lee Dunn of Ashby Street Americus, GA will be Monday, April 4, 2016 at 1:00 P.M. at the New St. Paul Baptist Church on Packing House Rd. Americus, GA with Pastor Michael Walker officiating. Burial will follow at the Eastview Cemetery. Mrs. Brownie Lee Dunn was born on October 18, 1932 to the parentage of the late Mr. John Thomas Davis and the late Mrs. Elizabeth Davis. She received her education in the Sumter County school system. Mrs. Dunn was a homemaker until the day she was called home to glory. On Wednesday March 30, 2016 she departed her life at her residence. She was preceded in death by her parents and two sons, Mr. Willie Lee Dunn and Mr. Charles Jerome Dunn and a granddaughter, Ms. Chisa Tenise Dunn. She leaves to cherish her memories a devoted husband of 66 years, Mr. Eddie Lee Dunn Jr. of Americus GA; four daughters: Rosa (MacArthur) Rutherford of Americus GA, Brownie Dudley of Waldolf, MD, Georgia Furlow of Americus GA, and Naomi Dunn Tinnin of Hampton GA; two sons: Eddie (Kim) Dunn III of Americus, GA and Sam (Regina) Dunn of Riverdale, GA; four sisters: Elizabeth Monts, Minister Linda Mathis, Heneritta Davis of Hartford, CT and Rebecca Davis; one brother, Reverend Leroy (Della) Davis; two sisters-in-law: Dora Bell (A.J.) Daniels and Leanamae Coleman, both of Americus, GA; one aunt, Ethel Mae Evans of Hartford, CT. She is also survived by 11 grandchildren, 15 great-grandchildren and a host of nieces, nephews, cousins including a devoted cousin Lois Tookes of Americus, GA and several other devoted friends. Graveside services for Mrs. Minnie Lee Perry Glass of Horton Drive Americus, GA will held on Wednesday, March 30, 2016 at 11:00 A.M. at the Mt. Zion Baptist Church Cemetery in Ellaville, GA.
Mrs. Minnie Lee Perry Glass was born in Ellaville, GA on June 9, 1940 to the late Willie O. Perry and the late Albert Perry. She graduated from John Lewis High School, Ellaville GA in 1958. Minnie was an industrious worker her entire adult life, working her way up in many jobs but most recently at Scott Bedding, Manhattan Shirt Factory, Sumter County Extension Office, and the Administrator of Meals on Wheels for Sumter County Middle Flint Council of Aging. In her earlier years, she was active as a Secretary of the Sunday School at Mt. Zion Baptist Church. Minnie was married to the late Ossie Glass. She lived the remainder of her years in retirement at her home in Americus, GA.
She is preceded in death by a sister, Arabella Perry and her brothers, Albert Perry Jr. Simmie H. Perry, Arthur W. Perry and sisters-in-law, Josephine Perry, Margaret Perry and Alma Perry Minnie passed away after a brief illness on Wednesday, March 23, 2016 at the Phoebe-Sumter Medical Center. Minnie was a driven, hard-working but kind-hearted woman. She lived a quiet, unassuming life in her retirement years. She will be sorely missed by family and friends. She is survived by a son, Otis Ray Glass, a grandson, Rodrick Denorris Glass Sr., a great grandson, Rodrick Glass Jr., two great granddaughters: Megan Glass Kateria Deame Glass, and their mother, Lukeshia Denmark; a sister, Annie Belle Howard, two brothers: Phillip C. Perry and Freddie B. Perry; sisters-in-law, Mary Perry, LaVerne Perry and Gretha Young. Minnie is survived on her husband's side by: Euguene and Bridget Brown and family, John and Toni Brown and family and Willie Brown all of Americus GA, Elijah Murray of Dallas, TX, Emogene Jackson of St. Petersburg, FL and Marcellus and Lovie Jane Owens of Ellaville, GA. A devoted friend Janie Carter and a host of nieces and nephews. Funeral services for Ms. Georgia Lee Johnson of McCoy Hill Americus, Georgia will be held on Saturday, March 26, 2016 at 11:00 A.M. at the Mt. Olive Baptist Church with Rev. Dr. H.C. Wilson officiating. Burial will follow at Staley Memorial Gardens. Georgia Lee Johnson, daughter of the late Luther Johnson and the late Mrs. Thelma James Johnson, was born in Sumter County, Georgia, on March 15, 1937. At an early age she joined the Mt. Olive Missionary Baptist Church. She was a 1956 graduate of Sumter County High School. In 1958, she relocated to Hartford, Connecticut. She was a dietitian at The University of Connecticut in Hartford. She retired after 27 years of dedicated service. In 2001, Georgia Lee relocated back to Americus to be near her family and friends. She then rededicated herself with the Mt. Olive Missionary Baptist Church under the leadership of Pastor H.C. Wilsons. In 2009, due to her failing health, she relocated to Powder Springs, Georgia. On Friday, March 18, 2016, Georgia Lee peacefully transitioned to her Heavenly home. In addition to her parents, she was preceded in death by a brother, James Johnson. She leaves to cherish her memories a devoted daughter, Gwynelle (Louis) Mills; a granddaughter, Kianna Mills all of Glen Burnie, Maryland; four brothers, Claude (Mary), Eddie Frank, Douglas (Debra), and Felton; an aunt, Bertha Sampson; a devoted caregiver, Ms. Noemie Lamothe and family, and a host of nieces, nephews, cousins, and friends. 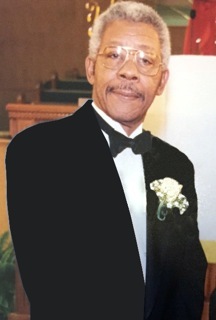 Funeral Services for Mr. Barney Turner of Oglethorpe, Georgia will be conducted Wednesday, March 16, 2016 at 11:00 a.m. at Jehovah Baptist Church, Oglethorpe, Georgia with Pastor Glenn Martin Bryant officiating. Interment will follow at Oglethorpe City Cemetery. Barney Clay Turner was born May 9, 1937 in Ideal, Georgia to the late M.W. and Matilda Dean Turner. Two brothers preceded him in death: M.W. Turner (Addie Ree-deceased) Cleveland, OH and Clenton Turner (Rosebud) Charlotte, NC. Barney attended Macon County Training School, Montezuma, GA and served honorably in The United States Army. He was united in holy matrimony to the former Queen Esther Fields on March 17, 1962. He retired from Blue Bird Body Company after 20 years of dedicated service. Barney was a loving husband and a man who dearly loved family. He was an excellent provider who always placed his family’s needs above his own. He willingly shared his wit and opinions - especially to the “mama boys” in his family. Barney departed this life on Thursday, March 10, 2016. He leaves behind his devoted, loving, caring wife of 54 years, Mrs. Queen Esther Turner; five sons: Ronald Steven Wilson (Dr. Patricia) of McCalla, AL, Adam Roderick Wilson (deceased), Jeffery Clay Turner (Miriam) of Lawrenceville, GA, Jason Carlton Turner (Dawn) of Dacula, GA and Victor Clayton Turner (Aimee) of McDonough, GA; three daughters: Cynthia Matilda Turner (John) of Warner Robins, GA, Lisa Deane Lewis (Michael) of Americus, GA and LaSondra Wilson of Oglethorpe, GA; fifteen grandchildren: Karlton F. Sims (Eliza), Ashley D. Rios, Whitney D. Wilson, Ronald Steven Wilson, II (Lorna), Dez N. Sellers, Christopher L. Mallard (Brittani), Clayton G. Turner, Jacob A.Turner, Justin L. Turner, Joshua V. Turner, Daniel A. Turner, Joseph A. Turner, Jamar Wilson, Shelton Wilson and Tasha Wilson (deceased); eight great-grandchildren: Oliva Sims, Kayla Henderson, Caleb J. Ingram, Evan Usher, Landon Rios, Shelton Wilson, Jr,, ZaNylla Byrd and LeAndra Wilson; five sisters: Shirley McClain (Curtis) of Roselle, NJ, Dr. Mary Maynard (Bishop Jerry) of Gatlinburg, TN, Grace Davis (Norman) of Columbus, GA, Peggy Clay (Woodrow) of Macon, GA and Debra Turner of Stone Mountain, GA; six brothers: Will Turner of Dayton, OH, Jerome Turner (Marva) of Oglethorpe, GA, Kenneth Turner of Ideal, GA and Douglas Turner (Marva) of Warner Robins, GA; brothers -in-law: Command Sergeant Major Ramous Fields - deceased (Mary) of College Park, GA and William Bridges of Augusta, GA; sister-in-law: Joan (Deacon James) Wilson of Landover, MD;God daughter: Doretha Dowdell (Silas) of Desoto, GA; aunts: Beatrice Dent of Washington, DC, Grace Taylor of Capitol Heights, MD, Velma Harris (Ike) of Americus, GA and Helen Schofield (Willie B) of Jacksonville, FL; uncle: Ulysses Dean (Brenda) of Andersonville, GA; friends: Mr. Roosevelt and Mrs. Betty Fields, Mr. Eugene Harris (Ollie) and Mrs. Abby Weaver. A host of other nieces, nephews, cousins, other family and friends also survive. Funeral services for Mrs. Brenda Joyce Johnson Slappy of Americus, Georgia will be Saturday, March 12, 2016 at 2:00 at the Big Bethel Baptist Church. Burial will follow at the Eastiew Cemetery. Mrs. Brenda Joyce Johnson Slappy was born on August 3, 1962 in Miami, Florida to Mrs. Hazel Johnson Carter and the late Mr. Charlie Johnson. Brenda was educated in the public schools of Sumter County and was a homemaker. She was preceded in death by her stepfather, Mr. Johnnie Carter; three brothers: Mr. Ray Johnson, Mr. Clifford Johnson and Mr. Hubert Johnson; a sister, Mrs. Geneva Johnson Mable; four uncles: Mr. Willie Roy Johnson, Mr. Willie Robinson, Mr. Eddie Frank Johnson and Mr. Eugene Johnson. On Monday March 7, 2016, God wrapped His loving arms around her and called her home. Left to cherish her memory and mourn her passing is her mother, Mrs. Hazel Carter of Americus, Georgia; one daughter, Makeithia Lyles of Americus, Georgia; two sons: Richard (Andrea) Lyles, Jr. of Americus, Georgia and Christopher (Shawntel) Lee Johnson of Byron, Georgia; her beloved grandchildren: Iquasha Brown, Aniyah, Lyles, Taniyah Johnson, Christopher Johnson, Jr., Damarion Denmark, Kentravious Lyles, Sequoyah Lyles, Rikerrah Lyles and Kashun Mathis; two beloved brothers: Mr. Charlie (Wanda) Johnson of Atlanta, Georgia and Mr. Arthur (Norma) Robinson of Americus, Georgia; three sisters: Mrs. Mary (Willie) Jones of Miami, Florida, Mrs. Sharon (Thomas) Angrish and Mrs. Joann Patillo all of Americus, Georgia a host of nieces, nephews and cousins including a devoted cousin, Mrs. Van (James) Freeman and devoted friends, Mr. Sammy Parker, Ms. Neil Robinson and Mrs. Minnie Westbrook. 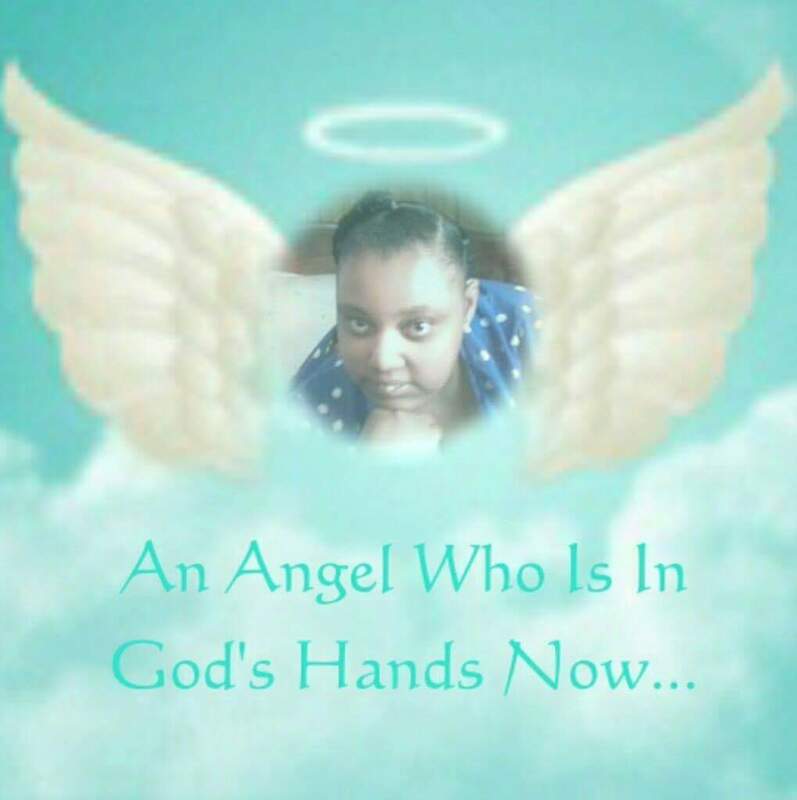 Graveside services for Ms. Kori Fortune age 29 of Americus, Georgia will be held on Saturday, March 12, 2016 at 11:00 A.M in the Eastview Cemetery in Americus, Georgia with Evangelist Sara Dice officiating. Ms. Kori Theresa Fortune, the youngest daughter of Mrs. Deborah Finch-Fortune and Mr. Clarence Fortune, was born at Portsmouth Naval Hospital in Portsmouth, Virginia, on August 21, 1986. In 1992, Kori and her family relocated to Americus, Georgia to be near her grandmother, the late Mrs. Cora T. Finch. She attended the public schools of Americus, Sumter County, Georgia. Kori was a proud graduate of Americus High School Class of 2008. On Sunday, March 6, 2016, Kori peacefully transitioned to her Heavenly home. Waiting for Kori at her Heavenly home will be her great grandmother, Mrs. Flora Mae Reese: her grandmother, Mrs. Cora T. Reese-Finch; and her grandfather, Mr. Clarence Fortune, Sr.; all of whom had a hand in modeling her into our beautiful angel. She leaves to cherish her memories a devoted mother and caregiver, Mrs. Deborah Finch-Fortune of Americus, Georgia; her father, Mr. Clarence Fortune of Temple Hill, Maryland; a devoted sister, Mrs. Kenetra Fortune-Asberry (Jimmy), of Americus, Georgia; an uncle, Mr. Eric (Tracy) Finch, Sr., of Americus, Georgia; one aunt, Mrs. Cynthia Fortune-Dunnbar of Washington, DC;a great aunt, Mrs. Doroththy (Walter) Bridges of Americus, GA; her first cousins, Eric Finch, Jr. and Sage Finch of Americus, Georgia; her God Parents, Mr. and Mrs. Mike and Mary Holloway, Mrs. Deloris (Alvin) Jackson of Americus, Georgia, Mrs. Mary Williams-Dunnum and Mrs. Mamie Gibson of Albany, Georgia; devoted cousins, The Dice / Reese Families of Americus and Atlanta, Georgia; devoted caregivers, Ms. Mary Bryant of Ideal, Georgia and Ms. Alice Stewart of Leslie, Georgia; her Special Olympic Coach, Mrs. Bertha Bruce of Plains, Georgia; and a host of other relatives and friends.